Trench Collection by Sonia Verardo: How to Wear (faux) Leather Shorts: More Styling Ideas! How to Wear (faux) Leather Shorts: More Styling Ideas! As you already know, leather is a big trend for this Fall/Winter 2011. season! The outfit that I presented you then was a very casual/trendy/chic outfit, ideal even for every-day runing errands! casual-rocker-military to glam & appropriate for special occasions! WATCH MY "How to Wear (faux) Leather Shorts: More Styling Ideas!" VIDEO HERE! CLICK HERE TO WATCH!!! The top I'm wearing on the pics above is a sparkly/beaded top from H&M. I got it recently on midseason sale for cca 10 €. I like the contrast between this delicate powdery pink top & black leather! I accessorized the look with my big sparkly bracelet that I got this summer here in Italy, in a big warehouse, where they sell a bit of everything, actually! I got it for 14€, but other accessories stores were selling these bracelets for more than 40€!!! I'm so glad I managed to get my hands on it for only 14€! She wore this blouse a lot, but the material is such an amazing quality that it is still in a perfect condition. I love the combo of a billowy, silk blouse with a more tight leather shorts. It makes the outfit classy as opposed to trashy if pairing these shorts with something tight on the top as well! Suede-like calf high black booties. Extra high heels, but still quite comfy. 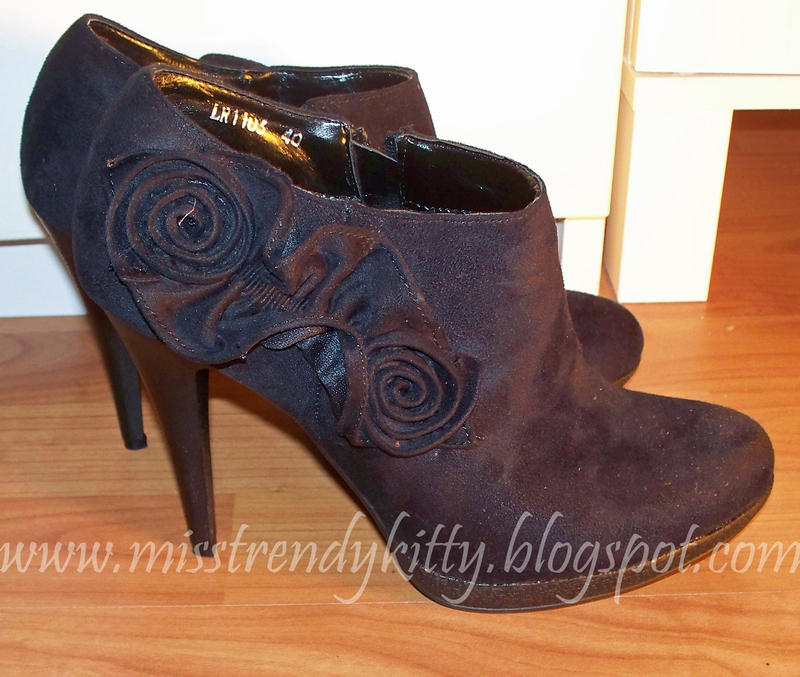 These booties make your legs appear so elegant & lean! Hope you enjoyed my little styling ideas around the (faux) leather shorts! So, just to quickly update you: I did get it! Yeay! Have a lovely afternoon beauties! How to Wear/Style a Leopard Print Gilet? How to Style a Floral Print Leggings?